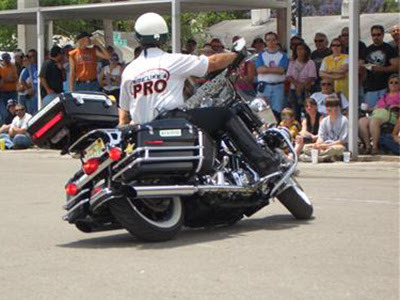 Winter Motorcycling Tips from "Ride Like A Pro"
As I write this article on October 2, 2015, here in Florida we are entering the best riding time of the year. The heat and humidity of May through October is starting to fade. But, in most parts of this great, big, country I know that sadly your riding season is rapidly coming to an end. That means you may be getting ready to store your bike for the long winter months. Here’s a thought. Before you put the bike way, how about improving your skills by taking a Ride Like a Pro class? The cooler weather is the best time to do just that. Most riders that take my course improve their skills by 100% in just four hours. Other riders can improve their skills by 300% or more! For a Ride Like a Pro class near you, log onto www.ridelikeapro.com click on “TRAINING LOCATIONS”. Sign up, bring a friend and learn how to really ride that motorcycle you paid all that money for with skill and confidence. The proper techniques for riding like a pro are perishable skills. If you don’t use them, you lose them. The good news is that even in the dead of winter, as long as there’s no snow on the ground, you can take the bike out and practice the low speed skills you learned at the Ride Like a Pro class since at low speeds, the wind chill is not a factor. I know the reason many of you have not taken a riding class is because you’re afraid of dropping and damaging your expensive motorcycle. We’ve got you covered there as well. Simply get yourself a set of ProGuards, log onto www.proguards.net. 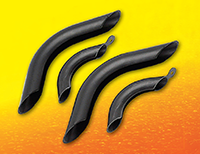 If you’re not familiar with ProGuards, they were developed by a Police Motor Officer Instructor and are constructed from unbreakable polypropylene and are designed to fit most crash bar applications. With the worry of scratching your bike taken out of your mind, you have no excuse not to improve your riding skills. Keep in mind that the reason we all ride a motorcycle is because it’s a fun and enjoyable experience. I guarantee it will be a lot more fun and a hell of a lot safer when you actually know what you’re doing. With the weather cooling down, it may also be time for some new riding gear. Over the past couple of years, protective riding gear prices have come way down in price. So, if you’re looking for a new leather jacket, get one with protective padding in the shoulders, elbows and back. Online I’ve seen this type of jacket for as little as $175.00. Padded Kevlar jeans can be had for less than $100.00. For a few more bucks, you can get some heated gear to wear under the padded leathers that will allow you to ride an extra couple of months into the colder season. In the dead of winter when the snow and ice are on the ground and you can’t possibly take the bike out, get my Ride Like a Pro DVD, or better yet, buy all five of my DVDs and Book. You’ll then have everything you’ll ever need to know about riding a motorcycle. If this winter is anything like last winter up North, you’ll have plenty of time to watch all my DVDs and have the proper techniques cemented into your mind. Now, you’ll have to excuse me because here in Florida, it’s time to ride.